The brief: Halebank C of E Primary were due their RE inspection. The newly appointed Head felt that their faith needed to be displayed and expressed more prominently. Our brief was to transform a central corridor space and the school hall into focal points for the school’s faith. 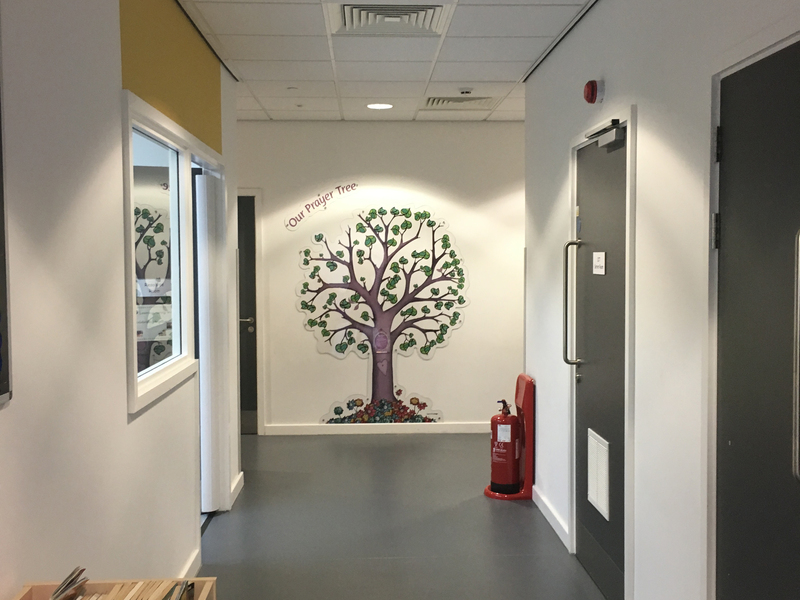 The process: Two Thirds Design were invited to Halebank C of E in Widnes, Cheshire to produce an interactive prayer tree with acrylic hooks and vinyl displays. 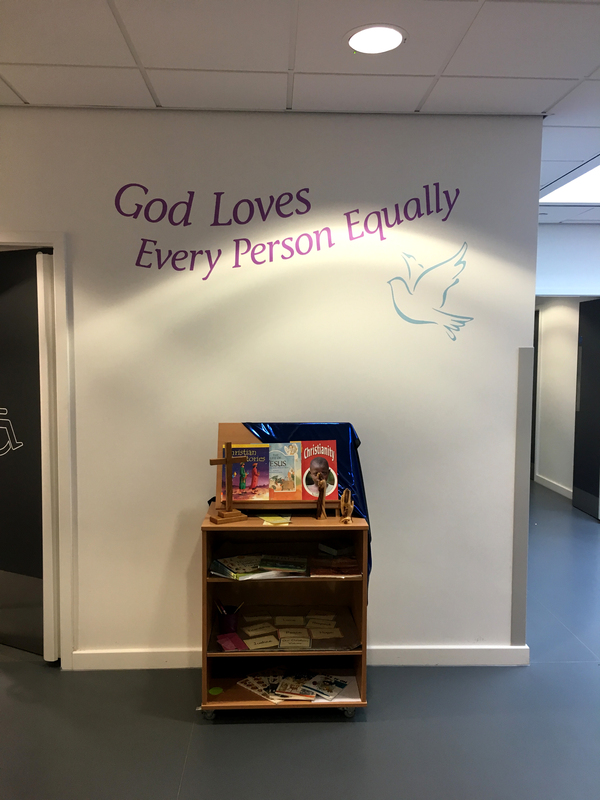 The end result: The corridor space has been transformed from a bare wall to a focal point of reflection for pupils’ faith, where children can hang their prayers. The hall screen is now framed by vinyl cut lettering.